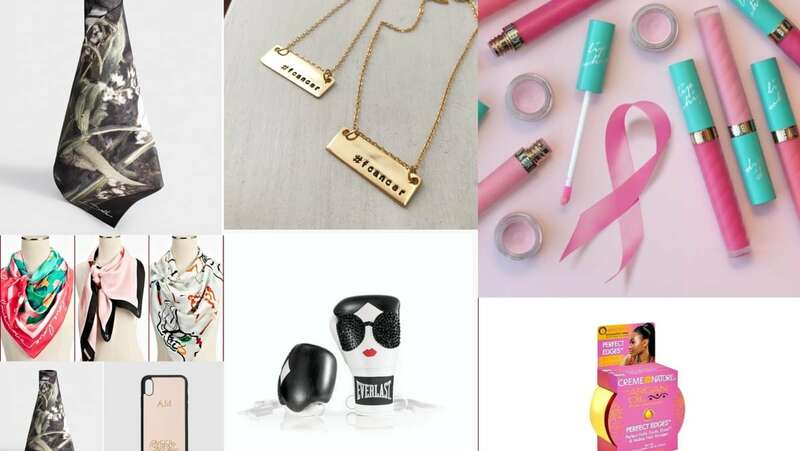 Here are a few products intentionally designed around bringing about breast cancer awareness that are worth your time and money. When it comes to breast cancer awareness and education, there are many ways that people both affected or not affected by the disease can help raise money for organizations that help patients through their process of healing. Every October brings with it the well-known pink ribbon: a universal symbol of hope and remembrance— but real action is what can provide better resources to cancer patients, and hopefully, one day, a cure. Think Before You Pink has excellent guidelines to consider before investing in any company claiming to support breast cancer research. Also, while October is commercially recognized as Breast Cancer Awareness month, it’s certainly not the only time to stay proactive about breast health and support. Cashmere’s view on life and business is to be sweet and sweeten the lives of others, which is especially inspiring considering the hardships she faced before building her company including poverty, breast cancer, and raising a child on her own. Like many she overcame, but now wants to be a product of inspiration and change for others. Everyone from Cardi B to Beyonce have supported the Black owned line. This month, customers can enjoy “Pinktober” with a portion of their sales going to the Susan G. Komen Foundation. Serena Williams proved once again why she’s the G.O.A.T. when she recently revealed her singing chops in order to raise awareness for breast cancer. The tennis player recorded her own version of the Divinyls hit “I Touch Myself” as part of the I Touch Myself Project campaign with Berlei for Breast Cancer Network Australia (BCNA). In fact, the words “I touch myself” are actually printed on the inside of Berlei’s featured bra and the company has vowed to donate 100% of the profits from the bra to BCNA. Upgrade your phone case for a cause. The Daily Edited partnered with New York illustrator But Like Maybe for a limited edition collection of bags and iPhone cases, included inscriptions like “Check Yoself” into promote breast cancer awareness. If you purchase any of the products know that $ 20 from each phone case, $ 30 from each pouch and $ 40 from each mini cross body bag sold will be donated to the National Breast Cancer Foundation. This gold necklace from Isabelle Grace Jewelry doesn’t hold back with its message — one many of us can relate to feeling. The jewelry is meant to be an inspirational reminder and provide “a sense of solidarity for our friends, family and customers who have, or are currently battling the disease we have all unfortunately come to know; cancer.” Anyone who supports the fight can display that proudly with these necklaces. Twenty percent of all sales from the jewelry line’s breast cancer awareness collection will go to the American Cancer Society. Talbots enlisted five internationally renowned women artists to make a scarf that symbolizes female strength, in honor of Breast Cancer Awareness month. The National Breast Cancer Foundation will receive 20% of net proceeds. “I loved the idea of a map, as it makes so many different women seem connected, and I wanted to represent women from all walks of life, as breast cancer can affect anyone,” said Australian artist Annie Davidson. David Allen is a tattoo artist who specializes in covering up mastectomies scars and has recently designed this floral motif, similar to the tattoos he creates for his clients. The limited edition, originally designed eQua yoga mat was created for project: OM and 100% of all net profits will go to Susan G. Komen to support breast cancer research. Even better, Maduka, known for its athletic performance products, has agreed to make these donations until the end of December 2019, guaranteeing a minimum donation of $ 400,000 to Komen. These boxing glove have artwork that boldly represent women and their fighting spirit. These Badass Boxing Gloves by Alice & Olivia for Bloomingdale’s were created specifically by British designer Stacey Bendet to be auctioned off on charitybuzz.com, with 80% of the proceeds going to the Breast Cancer Research Foundation. Bloomingdale’s and Everlast asked 14 brands, including Ralph Lauren, Rag & Bone and Zac Posen, to create unique designs on a pair of Everlast boxing gloves for Bloomingdale’s PINK campaign. Kristin Braswell is an award-winning travel journalist and founder of CrushGlobal Travel. Follow her adventures on Instagram, @crushglobal.